Cabin 15 is a beautiful two-story log home sheltered beneath tall pines on a private lot near the sandy beach area at White Iron Beach Resort. This 12-person wilderness getaway offers four separated bedrooms, two full baths, a large screened-in porch and a private driveway. As our former lake home, Cabin 15 has all of the comforts we could give it, including a large, fully equipped and modern kitchen, a cozy sitting area and a family dining room. The porch is furnished with comfortable chairs perfect for sitting and enjoying the fresh lake air. Cabin 15 is smoke-free and pet-friendly. The trees provide a nice shelter from the elements as well as a privacy screen from neighboring cabins. The spot is quiet, serene and beautiful, with an easy walk through the woods connecting you to the more social spaces and amenities. Cabin 15 is one of 26 scenic log cabins built alongside the water’s edge on White Iron Lake — and one of the largest rentals at White Iron Beach Resort. This home is set back into the trees, offering more privacy from the other cabins. The property is wooded and shady — the perfect respite after a day spent in the sand and sun at the resort’s clean beach area. Cabin 15 can be rented alone for a getaway with a group of friends or a multifamily retreat, or in conjunction with other cabins to accommodate larger events, such as reunions, weddings or corporate functions. 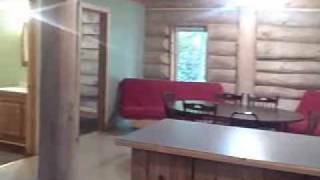 The lakefront cabins at White Iron Beach Resort are located near the popular northern Minnesota touristing town of Ely. The downtown area is a great place to spend the day enjoying local restaurants and shopping, as well as a variety of entertainments and attractions. The region surrounding the town and the resort is part of the Superior National Forest and is traversed by miles of scenic hiking and biking trails. 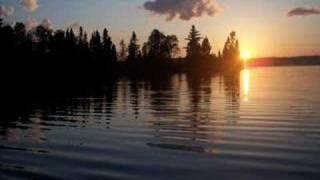 Ely is also home to one of the limited entry points to the renowned Boundary Waters Canoe Area Wilderness. The fishing is excellent on White Iron Lake, as well as on connecting lakes in the region and on the vast bodies of water within the Canoe Area Wilderness. With some patience and the right gear, you can expect to pull in northern pike, bass, crappie and even trophy walleye. If you prefer to stay close to the resort, we have plenty to occupy your time onsite, including canoes and kayaks, motor boat and pontoon rentals, a game room and sauna, a children’s play area, volleyball and basketball courts and of course the beach, boat docks and fire pits. Other interesting regional landmarks include the Tower-Soudan Underground Mine and the International Wolf Center. Peak season at White Iron Beach runs from mid-June to mid-August, with weekly rates of $2,498.00. During the off-season, weekly rentals are available at a rate of $1,998.00.